One of the things I have loved about living in Wyoming is how close we are to Yellowstone. My husband’s grandparents own a cabin about five miles outside of it’s entrance. These pictures were taken a couple of years ago when we stayed in the cabin & spent a couple of days visiting the park. It is so beautiful & peaceful. You are completely surrounded by nature & often see animals walking right by the roads. 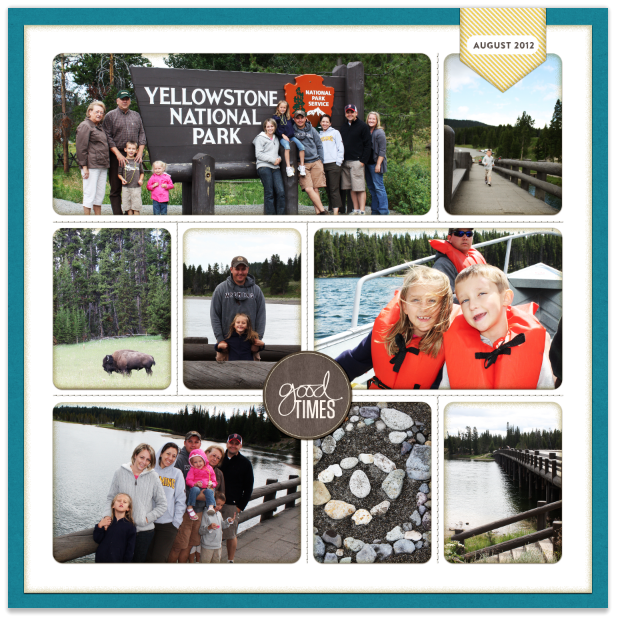 During our visits to Yellowstone, we have seen bison, elk, moose, deer, & bears. One time, we even saw a mama bear & her cub…it was amazing. Another cool thing about Yellowstone is all of it’s natural geysers…the most famous being Old Faithful. If you’ve never been, you should put it on your bucket list of places to visit in the US. I have a lot more pictures from our trips that I can’t wait to scrapbook! The digital kit used in this layout is from Paislee Press’ WEEKENDER Collection. 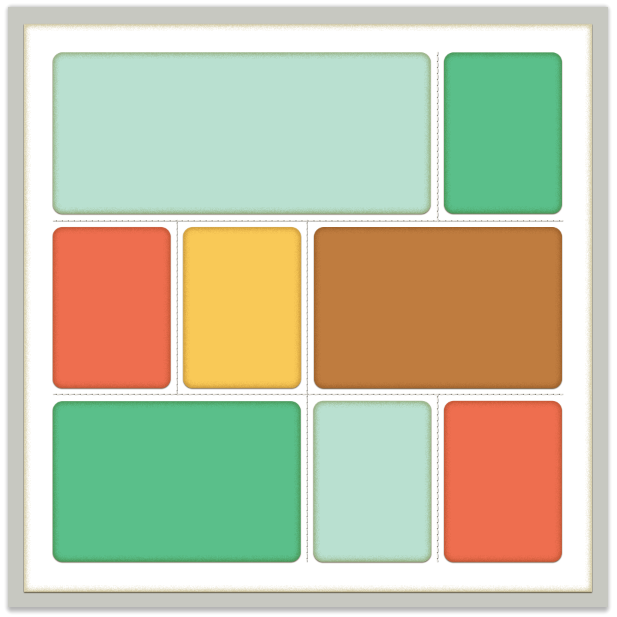 Today’s layout was created using the template below. You can purchase it on Friday HERE.